Meet “Didi,” the virtual assistant that makes banking personal. 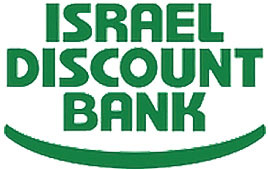 As one of the three largest banks in Israel, in operation since 1935, Discount Bank knew it must meet customer expectations in the digital age to keep customers satisfied and loyal. Customers expect an easier, faster and smarter banking experience, and prefer today to type (freestyle) rather than searching within the app options. In order to meet these expectations, Discount Bank decided to look for an online technology that creates added value for the customer and provides smart insights to the client. But the real challenge was to deliver an AI solution that understands customers’ natural, unrestricted language and translates that into actionable queries or actions performed on their account, so they can easily and quickly get the information they need. "We’re proud to be the first bank in Israel to provide a digital banking assistant. With Bold360 ai’s NLP technology, Didi gives customers a secure personalized experience." “Didi,” short for Discount Digital, the bank’s AI-based virtual assistant powered by Bold360 ai’s NLP technology and insights from Personetics, is able to engage in natural conversation with customers while helping them find personalized information specific to their account or credit card, and even perform banking actions. Didi is not just another product or chatbot; it is a stratum solution which combines artificial intelligence with analysis abilities and a personalized character. In addition to the AI abilities, Didi delivers the customer insights, developed by Personetics, regarding their banking activities and habits and sends customers alerts or notifications.